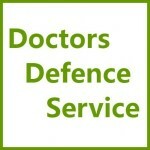 Remediation | Doctors Defence Service – UK. The GMC requires doctors who get into difficulties to take active steps to overcome any perceived or actual shortcomings in their practice. Competence and suitability to practise may be in issue as a consequence of identified failings. Concerns may have been exaggerated in certain cases, and on occasions malicious complaints may have been made against a doctor. While in other cases the doctor may have no insight into the level of the problem and the complaints may well be the tip of the iceberg. The GMC assessment process of doctors, to identify weaknesses, can take some considerable time and will often turn on expert evidence. It is not always easy for a doctor to remedy their failings. In some instances the doctor may choose to refute the allegations made against them. The cost of remediation can also be prohibitive, financially and in terms of time-commitment. Some doctors end up funding their own package of remediation. While other doctors may be lucky enough to be offered a package of remediation by their employer, this is becoming less common due to the finite resources that employers have access to. A doctor who has been dishonest might go on a probity and ethics course (both online and face to face), then write a reflective account of what led to their dishonesty and what they have learned. A doctor who has been found to have acted sub-optimally in their clinical sphere might have to be supervised for a while during clinical procedures, and be signed off as competent, also going on courses that evidence updating. A doctor who has behaved badly might see a behavioural psychologist and a counsellor to understand their triggers and overcome their misunderstandings and impulsivity through a course of CBT or other therapies. A doctor who has an alcohol or drug dependency might seek help from AA, and see a drugs and alochol specialist.